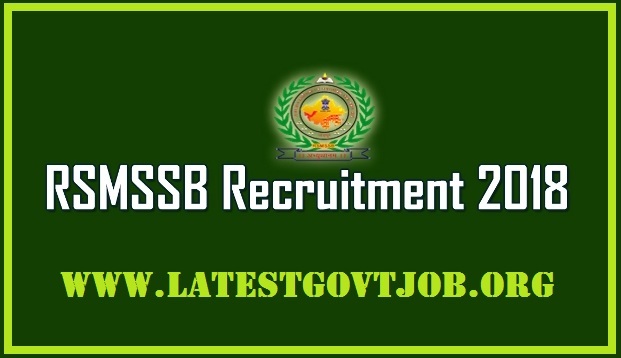 RSMSSB Recruitment 2018 for Live Stock Assistant 2077 Vacancies | Apply Online - rsmssb.rajasthan.gov.in : Rajasthan Subordinate and Ministerial Service Selection Board (RSMSSB) has released a notification for the recruitment of 2077 Live Stock Assistants (Pashudhan Sahayak). Interested candidates may check the vacancy details and apply online from 12-04-2018 to 11-05-2018. Interested and eligible candidates may apply online through RSMSSB website - http://rsmssb.rajasthan.gov.in/ - from 12-04-2018 to 11-05-2018.